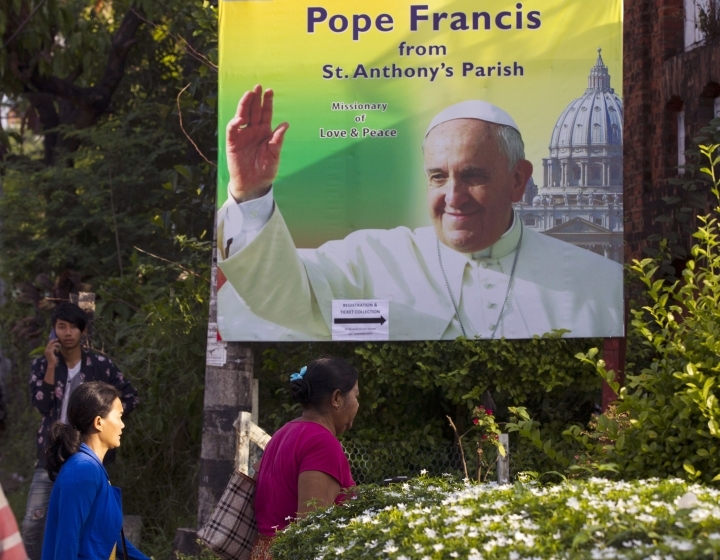 DHAKA, Bangladesh — Pope Francis on Monday begins a six-day trip to Myanmar and Bangladesh. While attention will focus on how Francis addresses the Rohingya Muslim refugee crisis, the trip also holds huge significance for the tiny Catholic communities in each country. Those Catholics face obstacles that include discrimination, an inability to land leadership roles and threats of violence. Many Christians hope the pope's visit will highlight the plight of the poor and of minority religious groups, including their own. There are 660,000 Catholics in Myanmar, just over 1 percent of the population of 53 million. In total, Christians make up just over 6 percent of the population. Catholicism was brought to the country more than 500 years ago, and for generations Catholics have played a vital role in developing far-flung rural areas that authorities have found hard to reach. But when the socialist government took power in 1965, most Catholic-based missionary schools, boarding houses and properties were seized by the military at gunpoint. Catholics were later able to slowly rebuild their missions. Myanmar Catholic leaders say that as members of one of the smallest religious groups in a country dominated by Buddhism, they face discrimination, even if it isn't typically overt threats or torture. "There are always challenges to stand up as Catholic and to have strong faith here," said Rev. Mariano Soe Naing, a spokesman for Myanmar's Bishops' Conference. Christianity is viewed by many as a colonial belief after the country was ruled by the British for a century until its independence in 1948. Likewise, the separation of church and state is considered a foreign imposition. For the past 18 years, Myanmar has been listed by the U.S. as a "country of particular concern" under the International Religious Freedom Act for having engaged in, or tolerated, severe violations of religious freedom. But unlike Rohingya Muslims, Christians haven't faced widespread violence and persecution. Christian leaders say they're afforded "peaceful coexistence" and an understanding the government won't interfere. The Catholic Church runs about 300 boarding houses across Myanmar, hosting children from villages who can't afford to go to school. It's done without any significant support from the government in a country that remains among the poorest in the world. But Catholics don't play a broader leadership role in society. "To be honest, if you are a Christian in this country, you will never get promoted," Rev. Mariano said. "There are no Catholics in the government administration or in any significant leadership positions." The profile of Catholics was boosted when Archbishop Charles Maung Bo became Myanmar's first Roman Catholic Cardinal in 2015. And they are getting another boost by having a pope visit the country for the first time. Catholic leaders hope the community will benefit in the long run. 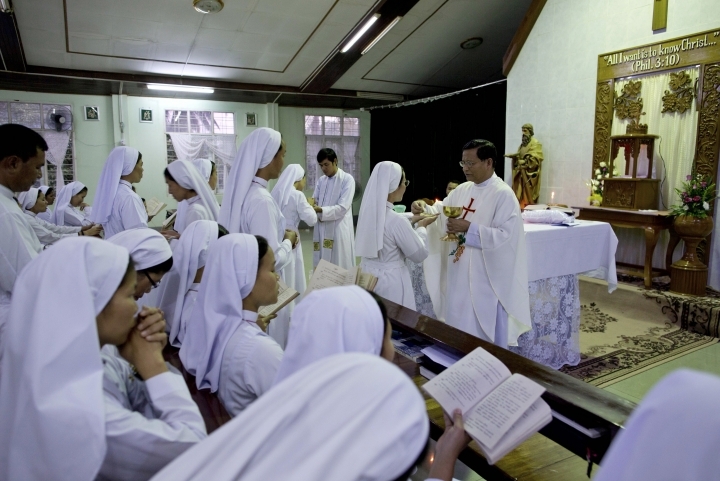 "Because of the pope's visit, Catholics will be more visible to many people and they will be aware of the existence of the Catholic community in Myanmar," Mariano said. There are just 375,000 Catholics in Bangladesh, a tiny fraction of the population of 158 million. In total, Christians account for less than 1 percent of all people in the Muslim majority country. The Portuguese first brought Christianity during the 16th century and missionary efforts began in the early 1800s. The pope's visit takes place against a backdrop of religious tensions after radical Muslims attacked or threatened to attack Christian priests and their followers in Bangladesh. Last year before Christmas, many churches said they got phone calls or letters threatening dire consequences because of their attempts to spread Christianity. A major attack in July 2016 on a restaurant in the diplomatic zone of the capital, Dhaka, left 20 people dead, including 17 foreigners. The Islamic State group claimed responsibility for that attack and several others, although the government claims the group doesn't exist in Bangladesh. Authorities say the domestic group Jumatul Mujahedeen Bangladesh was behind the Dhaka attack. The government launched a massive crackdown on suspected militants after the Dhaka attack. More than 60 people, including some suspected radical leaders, were killed in raids. Many others were arrested. Francis will be the second pope, after Pope John Paul II, to visit Bangladesh since it gained independence from Pakistan following a war in 1971. The Vatican quickly acknowledged Bangladesh as an independent nation after the war, helping set the tone for cordial relations since. 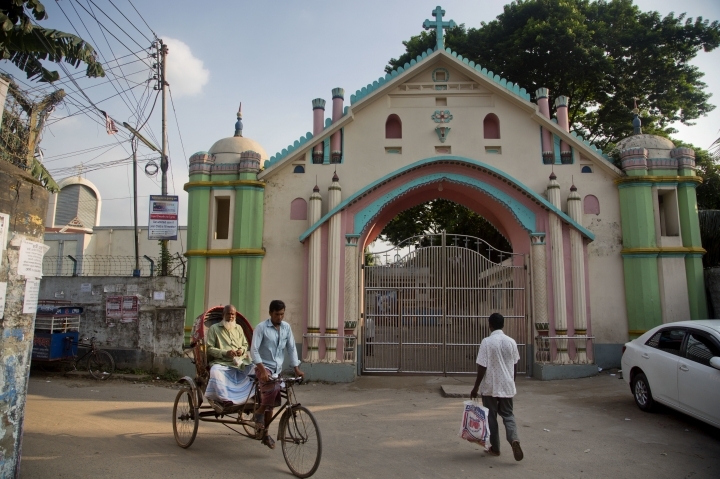 Living in the Hatileite village north of Dhaka are some 1,500 Catholics. They are part of a tribal community in which many embraced the religion after the first tribesman converted in 1927. Villager Louis Suprobhat Jangcham, 50, said he's enthusiastic about the visit. "I attended a gathering when Pope John Paul came to Dhaka in 1986. It was very exciting," he said. "The people from our village will attend this time too. This is a great moment for me." Christian leaders in Bangladesh say they hope the pope's visit will highlight a range of issues from religious solidarity to a warming planet. Cardinal Patrick D'Rozario, the archbishop of Dhaka, said the visit will be an opportunity to emphasize the causes of the poor who need blessing and comfort. "This visit is for spiritual causes, for highlighting peace and harmony. But the Holy Father will also touch upon other very important issues that concern Bangladesh," he said. 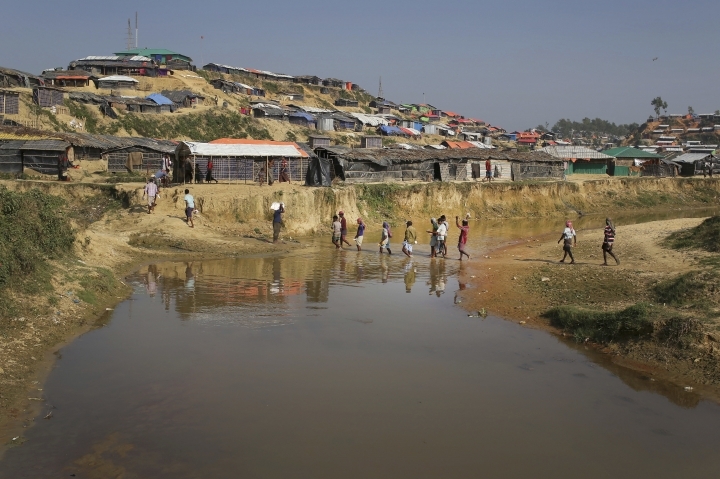 "The Rohingya crisis and climate change will come up prominently." 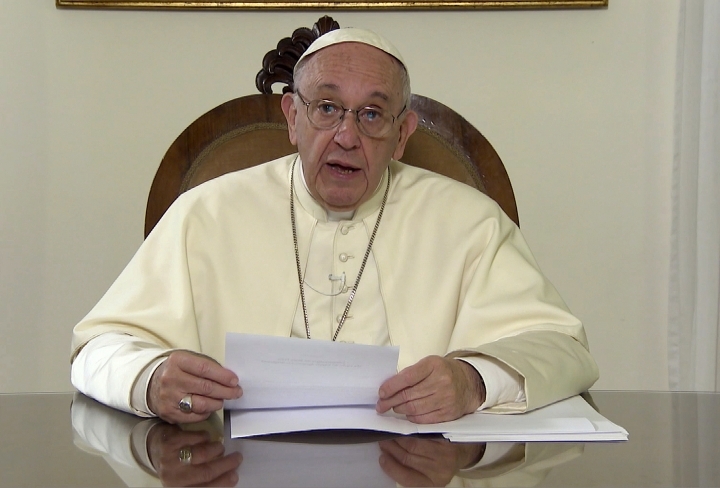 The pope posted a video message ahead of his visit. "We are living at a time when religious believers and people of goodwill are called to foster mutual understanding and respect," the pope said. "And to support each other as members of our one human family."